Girls just want to have fun… and good health! The famous words of Cyndi Lauper, still cover our radio stations today! Those are lyrics that most anyone can sing to you. Unfortunately, for most women, our GI health rarely reflect those words. Irritable Bowel Syndrome, Hemorrhoids, Diarrhea, Celiac Disease, Inflammatory Bowel Disease and Gallstones are just a few Digestive Disorders that can affect women at a higher rate than men and can do more than just take the fun out of your day. These disorders can cause you to feel embarrassed, miss important events, be painful and downright inconvenient. The intestinal tract in men and women are built to perform the same functions, but the reality is that a woman’s lifestyle as well as genetics can drastically affect our GI tract. The reasons can range from pregnancy, to our busy lifestyles, our “on-the-go” diets, neglect of our own symptoms and sometimes just genetics. 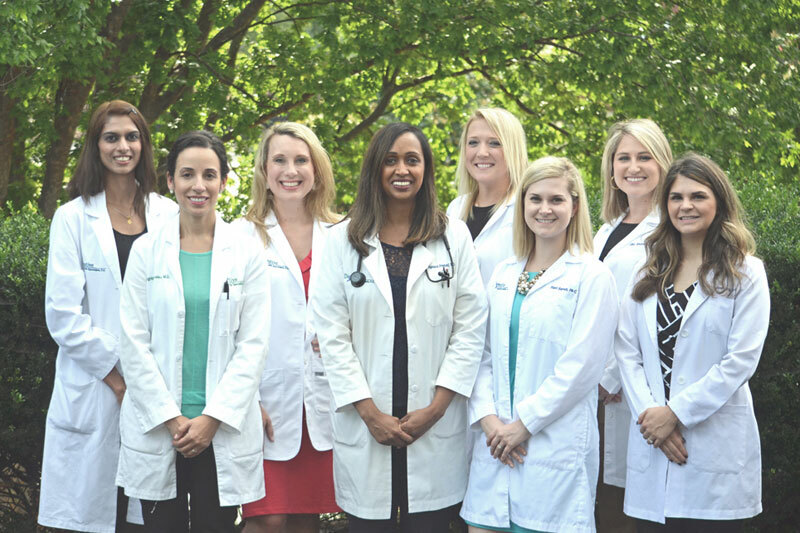 At Digestive Health Specialists, not only are we ready to see you and treat these disorders but we want to introduce you to our team of women that can specifically address these disorders in a comfortable and caring environment. We understand the comfort of seeing a female provider for what might be an embarrassing situation. Our mission at Digestive Health Specialists or DHS is to give patients the very best GI Care. For women, we believe that means providing care based on their unique experiences and lifestyle in a confidential and caring manner. Many women struggle more with the common conditions listed above. We want to make sure they are treated in a comfortable environment with a female provider who understands their embarrassment, condition and their wish to live a healthier and more enjoyable life. We are committed to giving you back your quality of life! With five female providers that are able to see patients in our clinic offices and three female hospitalists, we have built a team of caring experts that are ready to meet with you and confidentially discuss the best plan of care for any digestive conditions. While of course all of our female providers see males as well, we want to personally reach out to any women who have not sought medical care because they are too embarrassed or uncomfortable seeing a male physician. Our team is here and ready to help!